I’m doing a short my series on Theophilus of Antioch and his work To Autolycus (Ad Autolycum). The previous post addresses Christianity in antiquity. I’m now addressing his Christology and Trinitarianism. I will address here his voice related to the parting of the ways. It is utterly absurd to profess Jesus Christ and to practice ‘Judaism’ (ἰουδαΐζειν). 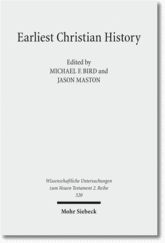 For ‘Christianity’ (Χριστιανισμός) did not believe in ‘Judaism’ (Ἰουδαϊσμός), but ‘Judaism’ in ‘Christianity’, in which every tongue believed and was brought together with God. This construction of a distinct identity in this passage (see ch 8-10) and others is built upon the full revelation of God in Christ, the old versus the new, and grace in opposition to Torah practice. These types of arguments are found throughout Christian texts of the second century. Clear examples include Melito of Sardis in his On Pascha (e.g., 72–82), the Epistle of Barnabas, and Justin Martyr’s Dialogue with Trypho. In contrast to the effort to establish and defend a distinct identity, Theophilus appears much more concerned with the charge that Christianity is a new religion and therefore suspect. This reflects the wider value in the pre-modern world that what is older is better and more trustworthy. In light of his second century context, Theophilus is unique for almost never playing up distinctions with Judaism. His main argument, rather, is that Christianity is grounded in the most ancient of Jewish texts, and thus he spends the majority of Book 2 expositing the creation account in Genesis. He also plays up God’s continued offer for restoration in the NT as the OT. In this you hardly get a feel that the NT is distinct from the prophets (3.10-15). Earlier he wrote that “Christians,” in distinction to the Greek writers, “have held the truth–we who are instructed by the Holy Spirit who spoke in the holy prophets and foretold everything” (2.33). The following chapters explore the challenge of the prophets (2.34-35), and NT and OT are mixed directly together without distinction. There are a number of other places where he does not play up differences when others do. Where does Christology fit in this? A unique aspect of Theophilus’ work is that he does not mention the crucifixion, which can often be used as a way to flag up inadequate Jewish behavior and therefore the inadequacies of Judaism. 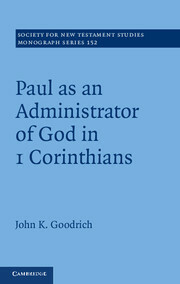 For example, Paul speaks of dying to the Law with Christ (Gal 2; Rom 7). 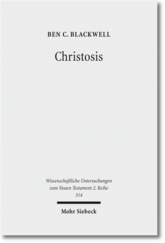 His Christology is therefore unique, but I wonder if he ignores that piece because of his very strong interest in continuity over discontinuity with Judaism in order to defend Christianity’s antiquity? Theophilus shows that the parting of the ways is not a linear progression or division, and his reading of the Bible to ground a wider biblical theology is interesting. A comparison contemporary with Theophilus would be Irenaeus. 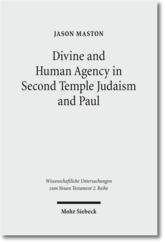 In his Against Heresies Book 4, he especially addresses the continuity and discontinuity with Judaism, and he grounds it in the Abrahamic and Mosaic covenants, not unlike Paul. I’ve got an essay in an upcoming volume that explores this: “The Covenant of Promise: Abraham in Irenaeus” in Irenaeus and Paul. Pauline and Patristic Scholars in Debate. Todd D. Still and David E. Wilhite, eds. (London: T&T Clark, forthcoming 2019). 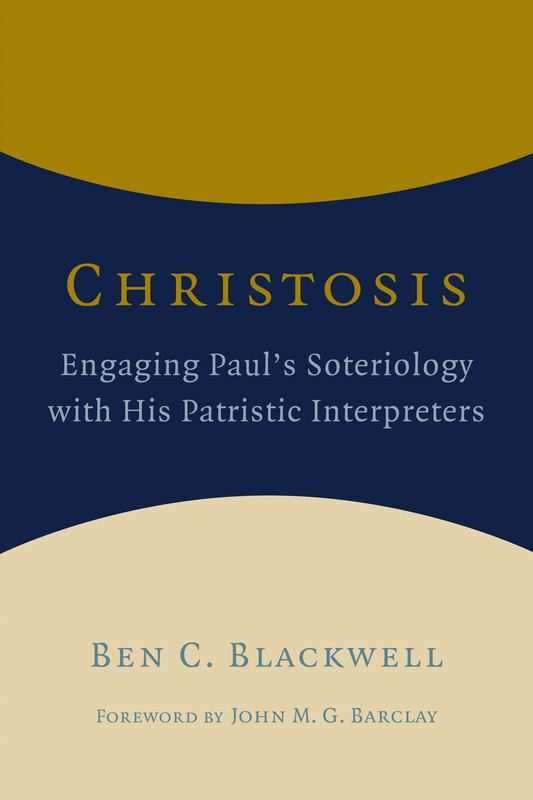 I came across this initially when working on this essay: “Partakers of Adoption: Irenaeus and His Use of Paul,” Letter and Spirit 11 (2016): 35–64.